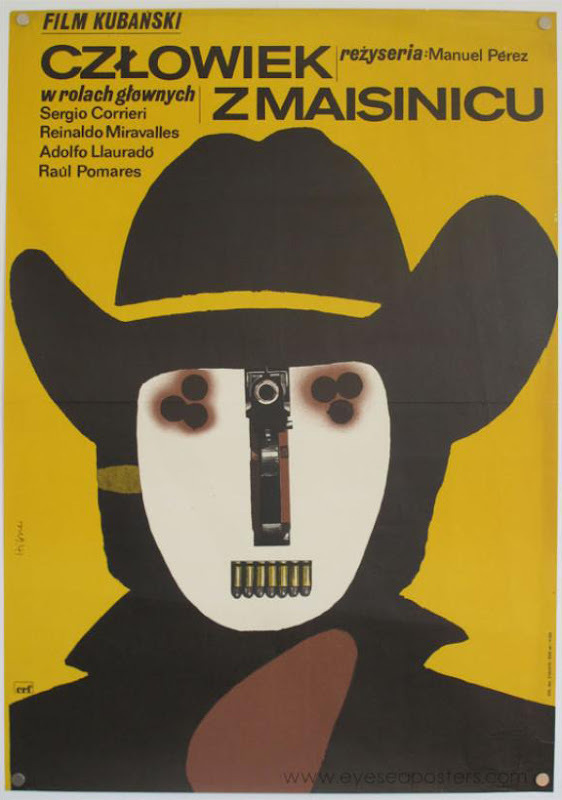 "Iluzjon is an exhibition that showcases the very best of Polish film and theatre posters from the 1960s and 1970s, collected by Eye Sea Posters. These posters were commissioned by state controlled film and theatre institutions during the communist era in Poland, in order to create alternative imagery to the foreign originals they deemed inappropriate to use as advertising. Often they had little visual reference to the film itself when creating the alternatives, resulting in off the wall and seemingly unrelated imagery. It provided an opportunity for some of the most revered national artists of the time to showcase their skills in conceptual design. Polish poster design has since gained international acclaim for its distinctive graphic style - bold, colourful, surreal and often with a satirical sense of humour or subversive theme. This makes them highly collectable and increasingly sought after." "Rare examples will be on display, and for sale, by renowned designers including: Wiktor Gorka, Waldemar Swierzy, Franciszek Starowieyski, Andrzej Krajewski, Jerzy Flisak, Maria Ihnatowicz, Jan Mlodozeniec and more. There will also be an limited edition screen print designed exclusively for the exhibition by Scot from design studio La Boca, who is an enthusiast of the genre. There will also be a series of events to coincide with the exhibition that highlight Polish culture and contribution to design and film. London based artist and curator, Stanley Schtinter, has organised an impressive array of film related events that often involve the screening of previously unreleased and forgotten cinema gems and soundtrack music nights. He will be curating an evening dedicated to Polish cinema, allowing for a unique opportunity to watch on a big screen carefully selected and incredibly rare films. 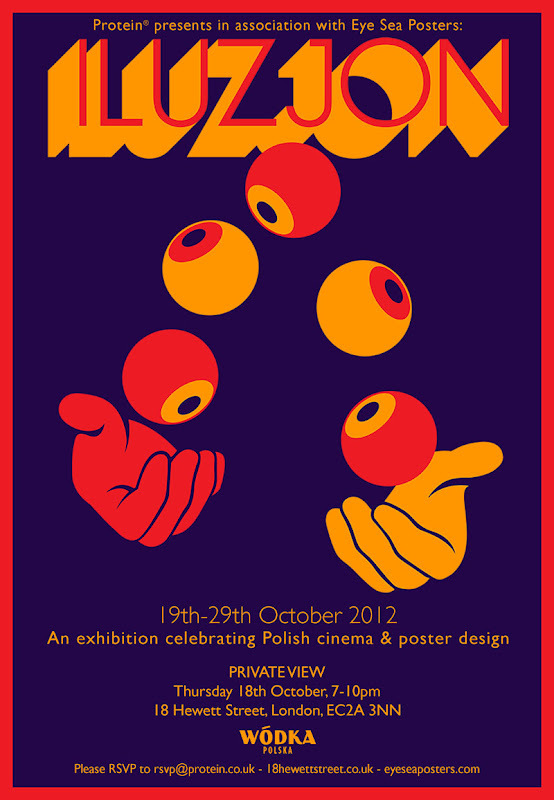 Protein will also be hosting a Forum event that explores the history and influence of Polish poster and graphic design. There will also be a pop up vodka bar with crafted cocktails utilising arguably Poland's most notable export." 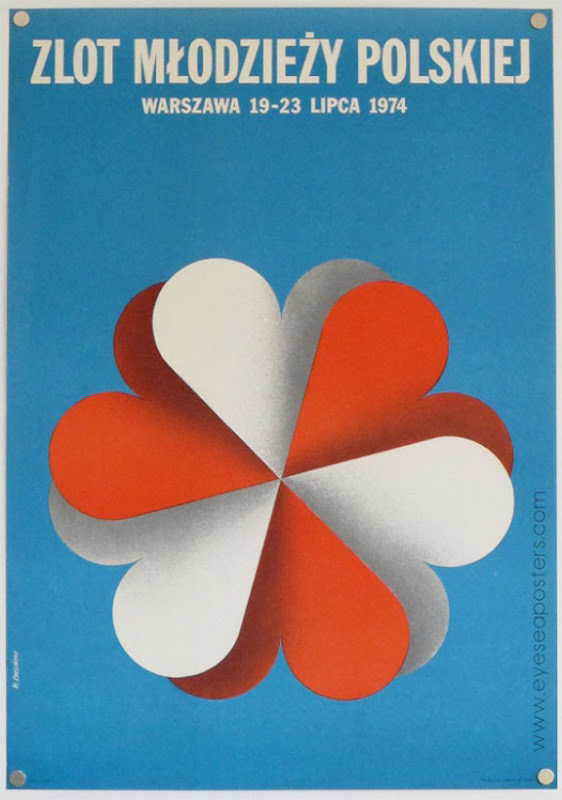 Informative article exploring the history of Polish poster design.